With our agile electric forklift trucks, you can maximise your throughput in narrow-aisle warehouses. With 3-phase AC motors, Jungheinrich's electric forklifts combine impressive performance with minimal energy consumption. In addition, you also have the choice between our cutting edge Li-ion technology and tried-and-tested lead-acid batteries. 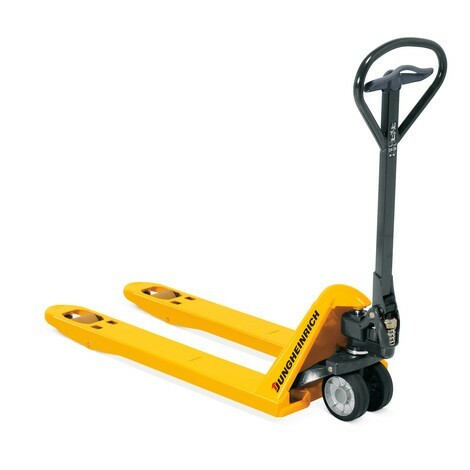 Our electric forklift trucks shine in warehouses that have limited room to manoeuvre. Thanks to their small and compact design, they easily navigate the narrowest of aisles. Our forklifts are ideally suited to level indoor floors, but can also handle a wide variety of outdoor applications, giving you added flexibility when you need it. 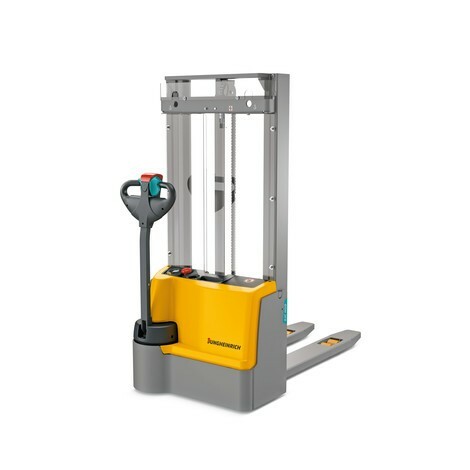 As a further benefit, the masts of our electric forklift trucks are perfect for both racking and stacking, reaching lift heights ranging from 2.3 to 7.5 meters with a lift capacity of up to five tons. 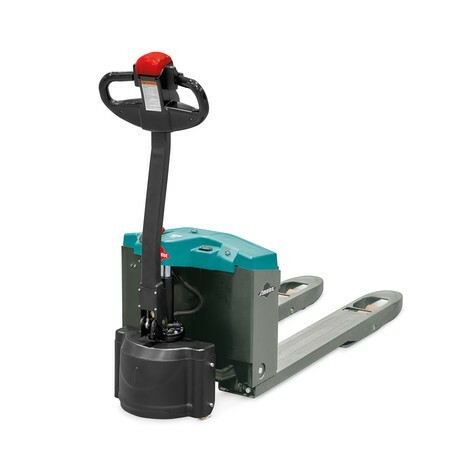 In daily use, your drivers will enjoy numerous benefits offered by our electric forklifts, including enhanced seat comfort, a perfect all-round view and comprehensive safety assistance systems to protect the operator, the load and your warehouse. Our innovative 3-phase AC technology delivers a number of advantages. 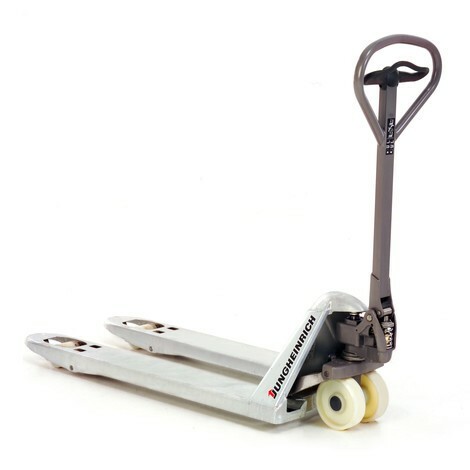 It ensures dynamic handling and maximum performance, even under heavy loads. Increased performance does not necessarily mean greater energy consumption either: Thanks to regenerative braking, 30 percent of the energy is recovered and fed back into the battery. This welcome energy boost allows our electric forklift trucks to complete even more work on a single charge. Another major benefit of the 3-phase AC motors in our forklifts is that they require very little maintenance, reducing potential down time and lowering your operating costs. Choosing the right battery for your electric forklift truck depends on your unique requirements. Our pioneering lithium-ion technology offers rapid charging times and requires virtually zero maintenance. Moreover, Jungheinrich's lithium-ion batteries last up to three times longer than conventional batteries. If you already operate one of our electric forklift trucks, it can be easily upgraded to benefit from lithium-ion power. Our tried-and-tested lead-acid batteries on the other hand, are all about stamina. 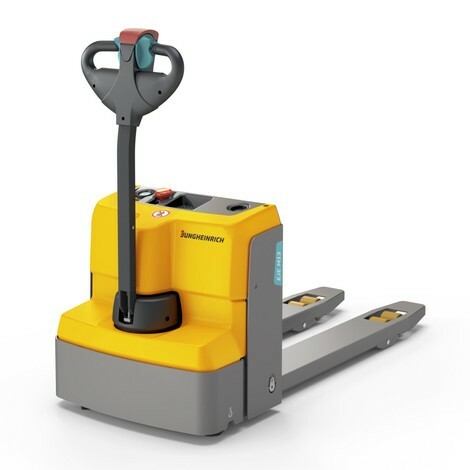 With these batteries, you benefit from our 2Shifts1Charge guarantee, which is unrivaled in the logistics sector: Our electric counterbalance trucks can complete two consecutive shifts without the need for battery replacement or top-up charging. This saves you time, energy and reduces running costs. Efficiency is a three-letter word: EFG. our maneuverable and versatile electric forklift trucks ensure maximum performance with minimum energy consumption. Whether you choose our innovative li-ion technology or our proven standard lead-acid battery – with our EFG range of forklifts, you save costs in the long term, whilst bolstering the efficiency of your warehouse operations. Maximum performance at minimum energy consumption with our unique PureEnergy concept. Perfect seating comfort, best all-round visibility, intuitive adjustment and operating options. Numerous assistance systems safeguard people, load and storage facility. Forklift Efficiency Up. Costs Down. Leave your competition behind with Jungheinrich's li-ion technology: Maximum performance with up to 20 % less energy consumption. 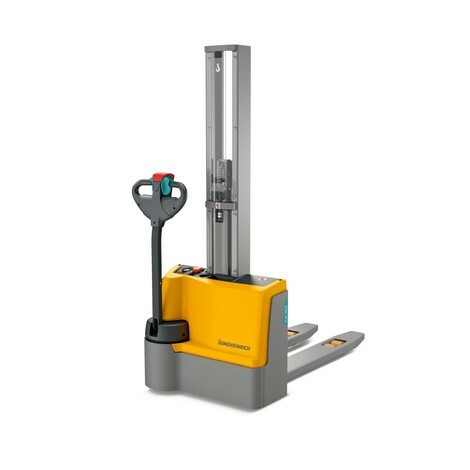 Energy efficiency made by Jungheinrich: The EFG with li-ion technology. 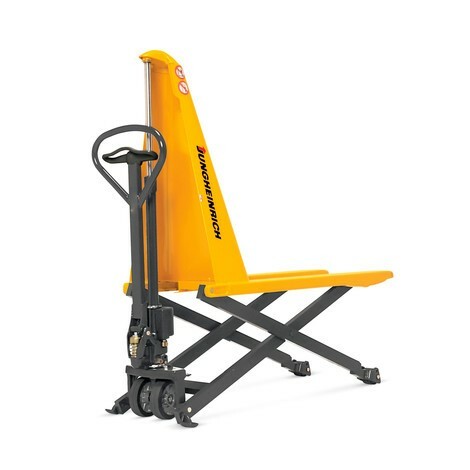 our impressively designed EFG forklifts. As the only complete intralogistics service provider, Jungheinrich develops and produces it's batteries and charging systems in-house. In doing so, we make sure that the battery communicates perfectly with the truck as well as with the charger. This optimal connection between every component ensures a long life and low costs for your electric forklifts with li-ion technology. Make the change today and profit from the full power of our EFGs with li-ion technology! Choose the buy or rent option and secure innovative and highly efficient li-ion technology for your business. As the leading intralogistics experts with the largest LI-ION forklift presentation fleet, you are very welcome to come and put the advantages of our li-ion technology to the test. Save costs and time: No battery change necessary. You can always opt for boost and interim charging and benefit from increased forklift truck availability. Safety: Thanks to minimised risk of damage. Zero maintenance: No maintenance necessary, there's no need for things like refilling with water as is the case with standard lead-acid batteries. Efficient investment: Li-ion batteries last 3x longer than standard lead-acid batteries. Repurchase guarantee: 100 % transparent investment through repurchase of li-ion battery after agreed runtime. 5-year warranty: On our li-Ion batteries. Liquidity: Low capital commitment at equally high performance and therefore more free business capital for other investments. All-in-one package: Increased availability of battery and truck thanks to maintenance-free li-ion technology and full service support. Securing the future: The latest devices and technologies always ready for use. Easy replacement: Same battery size. Future-proof technology: Faster charging times and longer service life. Forklift Power Up. Expenses Down. Two shifts with only one battery charge. With our 2Shifts1Charge promise you get more power from the proven standard with lead-acid batteries. Two shifts – no battery change: The EFG with lead-acid batteries. Would you prefer to continue using proven standard lead-acid batteries? 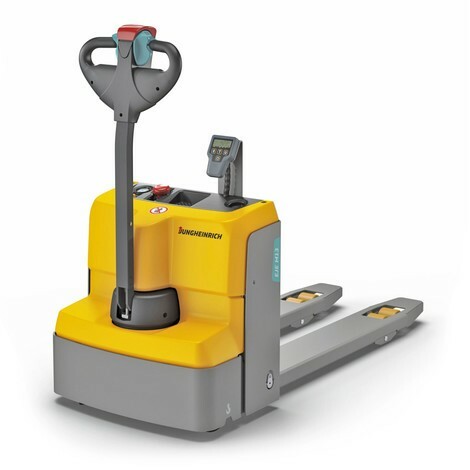 Then the Jungheinrich EFG 2Shifts1Charge promise is the perfect solution for you. Fitted with the latest 3-phase AC motors and our innovative PureEnergy concept, our electric forklifts deliver two shifts in one go without having to change or recharge the battery in-between. You save valuable time and energy, whilst simultaneously lowering your operating costs. Trust our proven technology that delivers durability and profit from 16 uninterrupted hours of EFG power. Save costs: Changing batteries isn't just time consuming. With 2Shifts1Charge you save up to 50 % of the costs. Efficiency: Higher performance. Less time. Liquidity: Low capital commitment at high performance and, thus, more free business capital for other investments. Risk-free: Commitment free usage. Innovative technology at low costs.